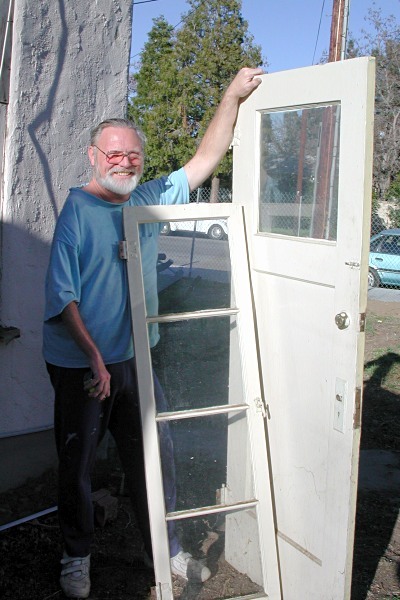 Feb. 3, 2002: Larry Bird with some of the doors and windows he donated to the Santa Clarita Valley Historical Society from his "Bermite" house at 24867 Walnut St., Newhall. See the house here. The solid wooden interior doors are to be used in the Pardee House Museum and elsewhere at Heritage Junction Historic Park.